Greetings from The Dallas Farmers Market! We’re taking over FMC’s Instagram this week to share with you a look into our market. The market is loved by our community, and for good reason! As a new “visitor”, there are a few things you ought to know to fully appreciate the market that surrounds you. The market started in 1941 as a horse-and-wagon wholesale business, and has grown with the city and turned into a hub for farm-fresh vegetables, dairy and more. Today, in the heart of downtown, the Dallas Farmers Market exists to cultivate a healthier, more sustainable lifestyle for all of North Texas. Honesty, transparency and responsibility are the guiding forces behind our organization. We believe in educating our community about how to live in a natural, balanced way. The Dallas Farmers Market is The Shed (Farmers Market – open-air pavilion where you can shop from regional vendors who grow, raise, make and produce food. You’ll find a mix of farmers with seasonal produce grown in this climate, ranchers with naturally raised meats, cheese, eggs and honey, and food artisans who make breads, canned and regional/international foods. The Shed also has a handful of arts and crafts vendors throughout the year.) and The Market (A 26,000 square foot food hall and artisanal vendor market containing four anchor restaurants, a mixture of local specialty foods and artisanal food vendors) along with a Wholesale Night Market (Thursdays and Sundays). We promote and generate neighborhood excitement by communicating with all social outlets (FB 49K+, Twitter 13.4K, IG 56.1K), weekly newsletter (9,400+ subscribers), partnerships/support with Visit Dallas, Downtown Dallas, Inc., CultureMap Dallas and several other organizations that have the same mission/goals. Also generate promotion with Yelp, TripAdvisor, Dallaschild // Fortworthchild // Northtexaschild // Thrive, GuideLive, etc. and promote to the surrounding neighborhoods/lofts by offering incentives (rewards, perks, etc.) to continue to visit/shop. The Dallas Farmers Market always has new and exciting programs/events going on throughout the year. From cooking classes, garden classes, pop-ups (local handmade artists and small business owners in addition to DFM’s merchants, vendors and small businesses), special events, exercise classes (monthly and weekly), workshops, children’s story hour and so much more. Our brand was not created overnight. Our history lies deep in the development of Dallas as a city. It has grown and changed, just as Dallas has. But now as the market enters a new era, it’s time to show the city how it has transformed through the introduction of our revitalized brand. We strive to support local farmers, create a secure, regional food system, propel education and new farm technologies, create sustainable lifestyles and to re-establish the connection to food and the community. Challenges include targeting buyers that will support and understand the importance of fresh produce. We are so excited to take over FMC’s Instagram account, it is such an honor and inspiration. 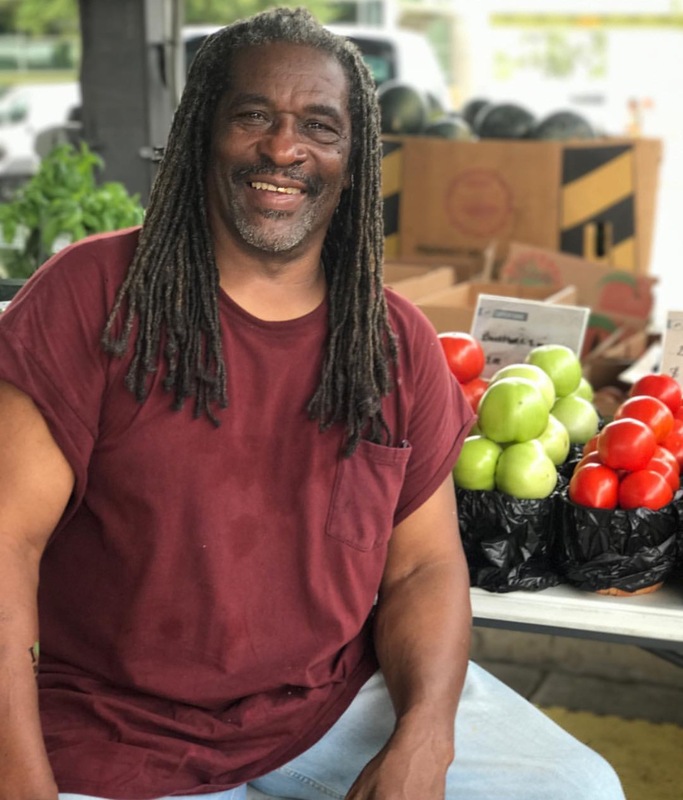 We are so happy that FMC is dedicated to strengthening farmers markets so that they can serve as community assets while providing real income opportunities for farmers. The mission of FMC is “to strengthen farmers markets for the benefit of farmers, consumers, and communities” is what it is all about.